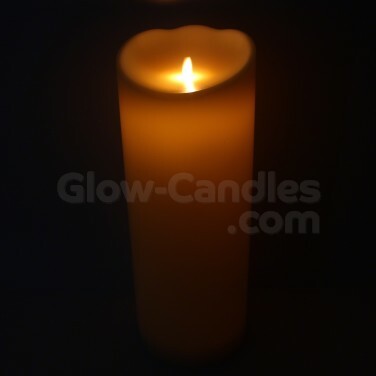 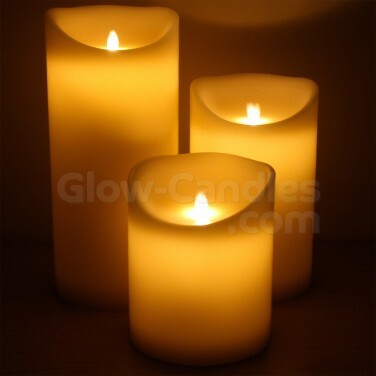 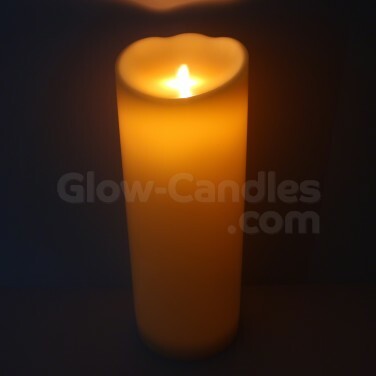 Create dramatic candlelit displays with extra large dancing flame candles made from real wax! 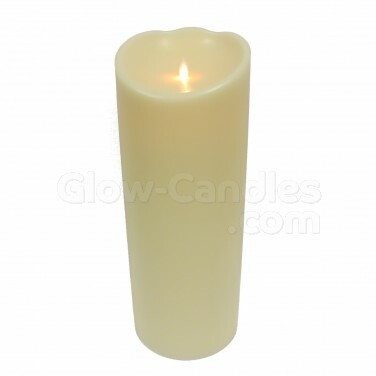 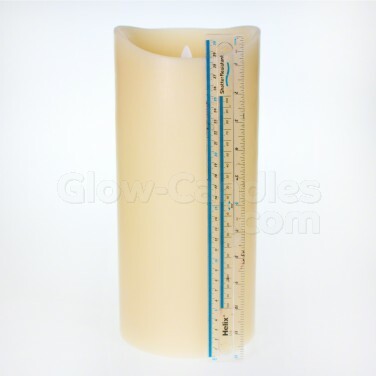 Large and dramatic, these extra large 15cm diameter pillar candles will dwarf standard sizes candles making them ideal for large open spaces and more. 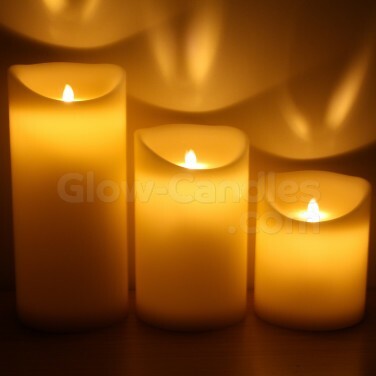 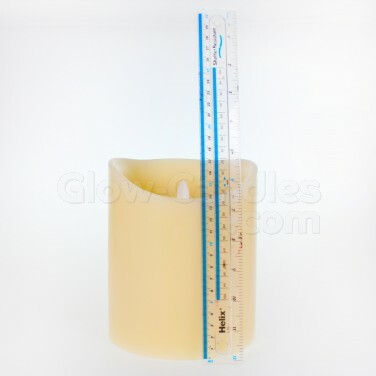 Lit by amber LEDs for a warming candlelight effect, these extra large LED candles are available in four sizes; 18cm, 25cm, 33cm and 40cm making them perfect for soft atmospheric lighting that mimics real flame effects with a dancing plastic flame. 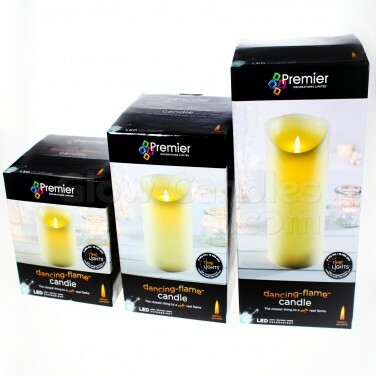  Battery operated, these stylish candles are suitable for use anywhere and with a timer function, they're easy to place and leave before switching off after 6 hours use before automatically switching back on again 18 hours later.